Of course, the next step after acquiring the dream is to maintain it, and our certified Porsche technicians and service advisers are on the job with years of experience and education, original factory parts, and the utmost care for these remarkable vehicles and clients. We’ve moved! After decades at our previous location in the historic Clock Drive-in Market in Beverly Hills, our team has moved to a new showroom in April of 2015, now conveniently located off the 405 freeway on Santa Monica Blvd at 11011 Santa Monica Blvd, Los Angeles, CA 90025. With three departments spread out on Santa Monica, between Westwood and Sepulveda Blvds, we have officially taken over the area! We are a proud sponsor of P.S. 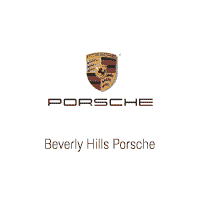 Arts, LA Fashion Week, and the Porsche Club of America Los Angeles.